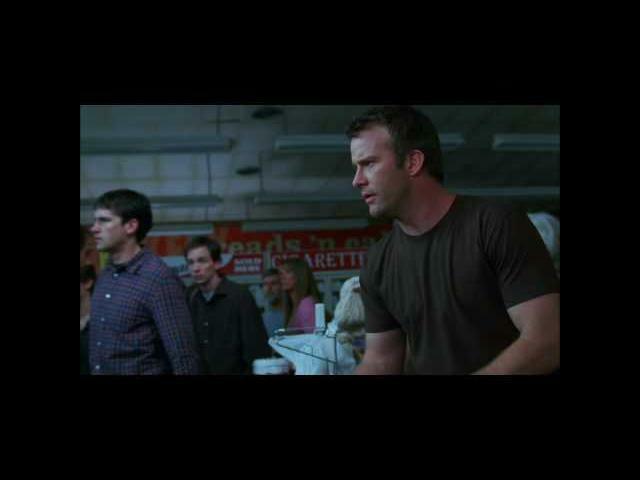 Frank Darabont"s The Mist (2007) trailer teases Stephen King"s movie adaptation. This trailer focuses a great deal on the crowd that is sheltering in the grocery store with some teases of the creatures outside. Thomas Jane, Marcia Gay Harden, and Laurie Holden star in The Mist. The Draytons - David, Steff and their son Billy - live in a small Maine town. One night a ferocious storm hits the area, damaging their house. The storm is accompanied by a strange mist the following morning. David and Billy and their neighbour Brent Norton go into town and find themselves trapped in a grocery store with several other people. There they discover that the mist contains something frightening and intent on killing humans.